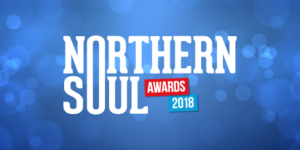 When we were brainstorming venues to host this year’s Northern Soul Awards, there was one building at the top of our list – the iconic Manchester Cathedral. We’d thrown around various ideas but there was only ever one contender for the crown. Where else might you find medieval quires and ancient archives, bees on the roof and kangaroos carved on thrones? It’s a truly magnificent building. 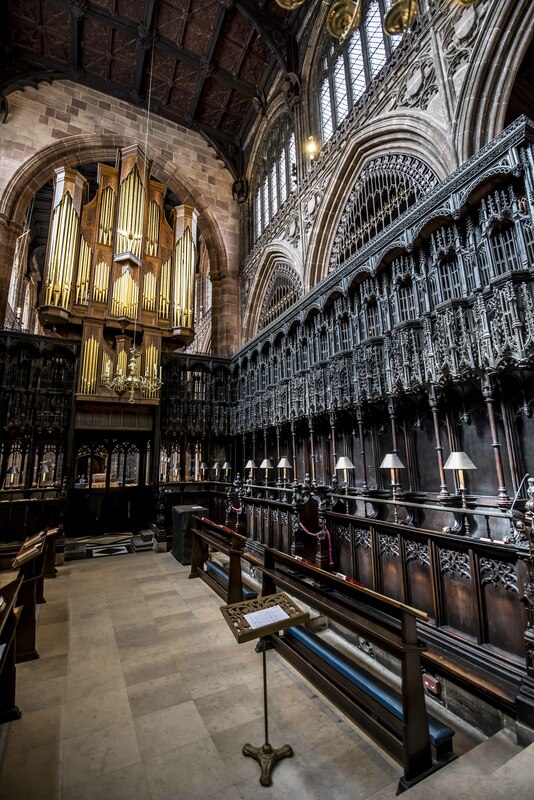 When I arrive, there are groups of tourists milling around, taking photographs of the sun shining through the beautiful stained-glass windows, and a choir practising towards the front of the building. Now, I’m not a religious person but there’s nothing quite like sitting quietly in a historical church, listening to hymns, to make you feel like there might just be something out there. 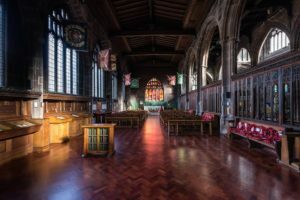 As we stand in the vast nave – the central part of the church and the major public space – I start to think about the many people throughout history who have stood on the same spot. Old buildings have this way of conjuring up these thoughts – it’s something about the feel of the place, I suppose. Not to go all The Sixth Sense but you can almost see them. O’Connor moved to Manchester Cathedral several years ago primarily to raise money for a new organ (“Events I do as a side-line,” he says). 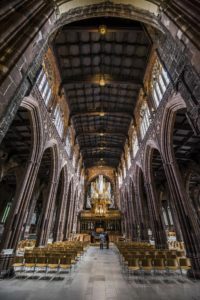 The original was demolished when it was hit by a German landmine on December 22, 1940 as part of The Blitz in Manchester during the Second World War. The Stoller Organ, built by Tickells, is designed with a mechanical key action and has better access for tuning and maintenance. 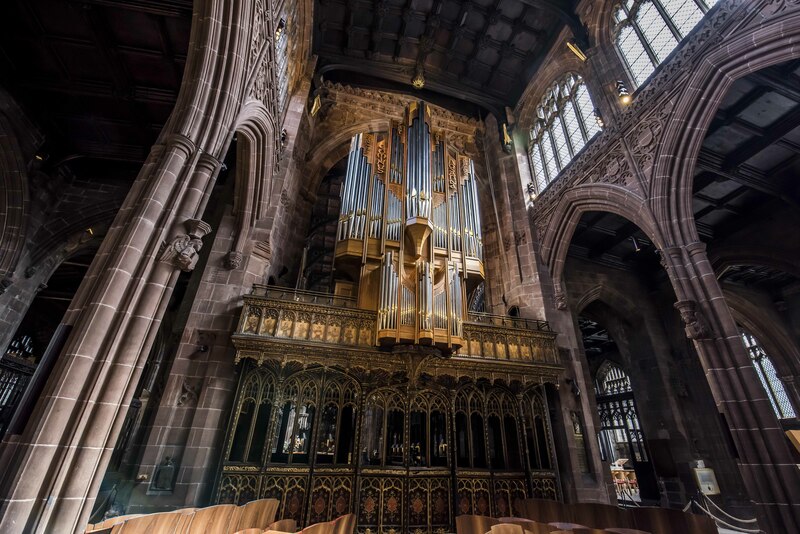 Whereas the previous organ took up space in the aisles, the Stoller Organ is mounted on the screen as the pre-war organs were. 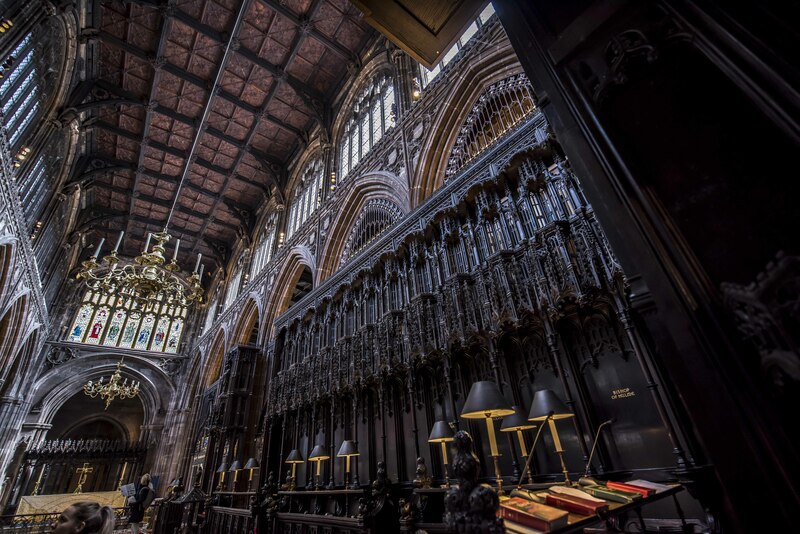 From inside the quire you can see the other side of the magnificent organ which is markedly different to the contemporary side visible from the nave. 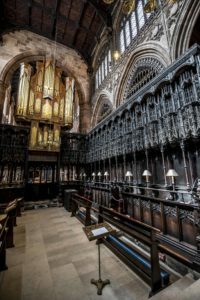 “The east side of the organ here is a little bit more traditional and the pipes are gilded which is beautiful. Also, within the quire, we have these beautiful misericords which, again, date back to medieval times and the carvers could carve their own seats. You’d never know that was hiding under a seat in Manchester. “So, the Midlands existed before the North?” I joke – I’m a Midlands girl. I guess that alters the whole “where does the North begin?” debate. “The first Bishop of Manchester, James Moorhouse, was a Sheffield lad. He became a priest and was sent to Australia – voluntarily – and arrived in Melbourne, which at the time was the capital of Australia, and while he was there he built Melbourne cathedral which still stands today. Next, it’s on to the Regimental Chapel where we’ll be hosting the Northern Soul Awards drinks reception. “In my time here at the cathedral, we’ve done a lot of events and try to open up the cathedral to great swathes of the community. We’ve had some momentous events here,” O’Connor says proudly. “Elbow in Concert was many years ago but that was just incredible. On the back of that, MTV bought MTV Crashes Manchester with Alicia Keys which was unbelievable, and, I would say, that throughout the year, we do several events. “Last weekend, we had the lovely gin festival here over three days. We do a series of concerts so over the next few weeks we’ve got The Slow Readers Club, Gavin Jones, G4. 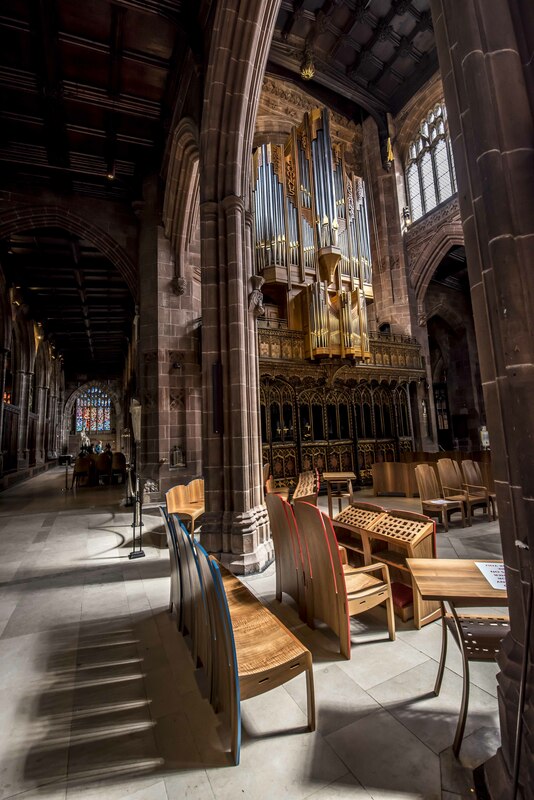 We’ve got a wine fair coming up and a series of gala dinners – including the Northern Soul Awards – and then in December we lend the cathedral to support several Greater Manchester charities such as Henshaws for the Blind and St Ann’s Hospice. 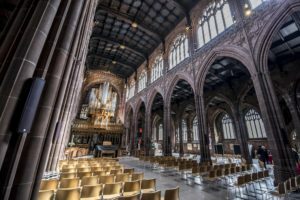 O’Connor is also director for Manchester Cathedral’s own charity, Volition Community, which seeks to identify roles, projects and areas of community action where unemployed people can become a volunteer. 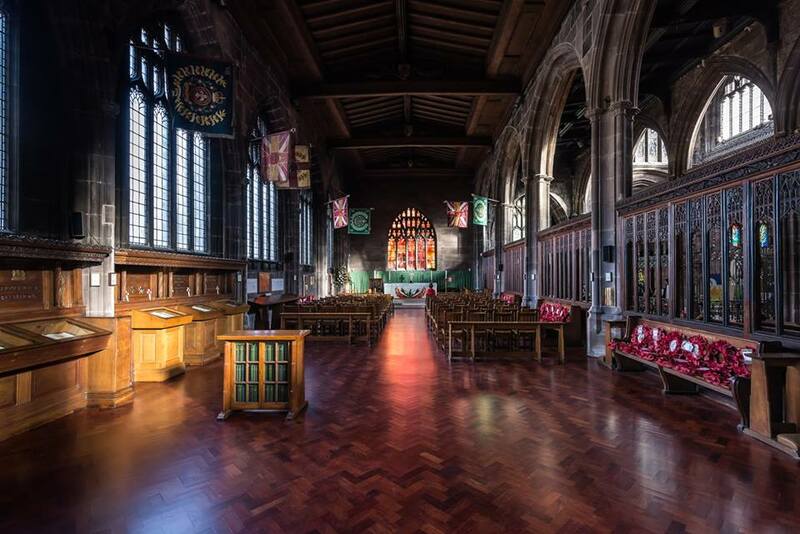 To view Northern Soul’s gallery of images from Manchester Cathedral, click here. 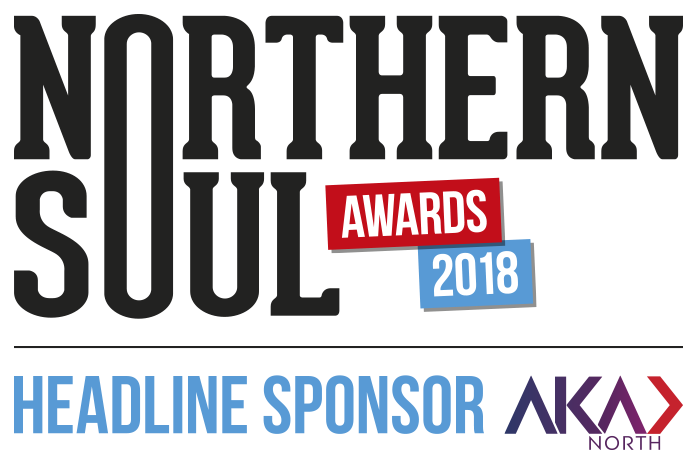 As part of the Northern Soul Awards 2018, we will be raising money for charity. 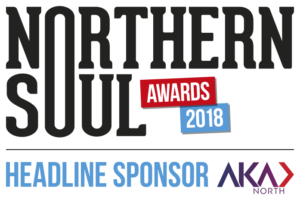 Last year, at the inaugural awards, we raised hundreds of pounds for charity and we aim to better that total this year. 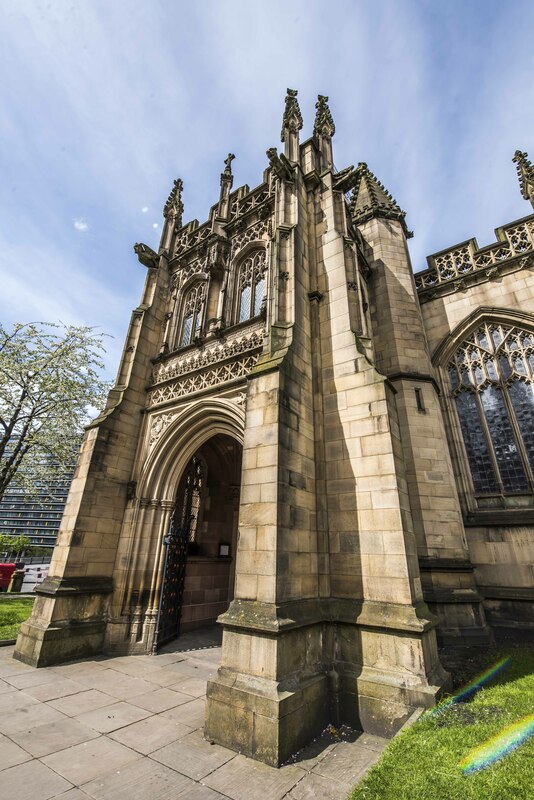 In keeping with the venue for this year’s awards, Manchester Cathedral, the nominated charity is Volition, an innovation in volunteering and employability. Volition bring cathedrals, civic leaders, partners and business together to open up job opportunities for local unemployed people who are Volition volunteers. It does amazing work. You can find out more about it via this link.